Christmas garland can add lots of excitement and fill your Christmas tree with beauty. There are so many ways to dress your tree in garland. There are ribbons, bows, candy, balls, beads, tinsel, wire, leaf, snowflakes and other designs to choose from. Garland is so easy to put on and take off the tree, and it fills the gaps between the branches. We have an extensive range of streamers and Tinsels. 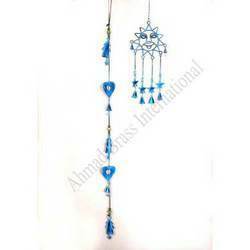 These tinsels are not only used for Christmas Decorations but also for decorations during bithdays, weddings and other occasions. Streamers of various patterns are available. The tinsels shown in the image come in a pack of 18 pieces. Each piece is about 8 feet long. Tinsel is sparkling decorative material that mimics the effect of ice or icicles. When in long narrow strips, it emulates icicles. Tinsel is almost all made out of polyvinyl chloride (pvc). Huge variety of christmas decorations, chrsitmas trees, christmas lights, christmas candles available at wholesale rates at NJ Party Shop in Hyderabad and Secunderabad. Huge variety of christmas decoration items available at NJ Party Shop.